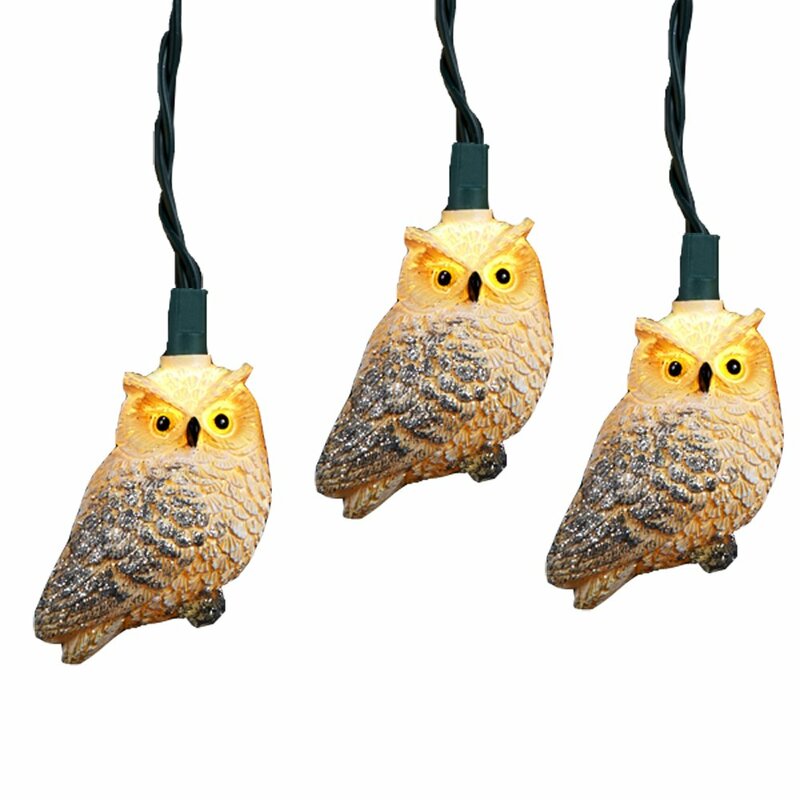 This Kurt Adler UL 10-Light White Owl with Glitter Light Set is a fun;uniqueway to add to the lighting of your holiday or party decor Perfect for nature-lovers and owl-lovers alike;each of the 10 lights in this set features anadorable white owl design complete with festive glitter detailing. This sethas a 30"x12" green lead wire;12V 0.08A incandescent bulbs;4 spare bulbs;and 1spare fuse. for both indoor and outdoor use.